Princess Charlotte and Prince Leopold, 1816. 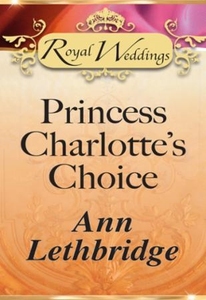 As Princess Charlotte prepares to marry Prince Leopold, her most trusted lady, Isabelle Fenwick, must remain chaste and beyond scandal. Yet she has never forgotten darkly handsome Count Nikkolae Grazinsky and the kiss he stole ... She later discovered the Russian had only used her for a wager, so why does he still seek her company? And why does the air tingle with anticipation when they are together? Surely this rake cannot be thinking of following Prince Leopold's example and making a love-match?